St. Petersburg is one of the most incredible places to visit in Russia, but it can be overwhelming trying to decide which landmarks and activities interest you the most. A private tour can be the perfect solution. A private guide can tailor your trip to your specific interests and travel preferences, and help you make the most of your Russian adventure. Embrace your inner artist at the ballet, indulge your scholarly side at the State Hermitage Museum, or get in touch with your spirituality at any of St. Petersburg's breathtaking cathedrals. This city has something for everyone, and a private tour guide can help you see the parts of it that you'll love the most. Talk to your guide before embarking on your journey so you can design the tour of your dreams. If you're interested in architecture or photography, Neoclassical and Baroque landmarks like the Winter Palace and the Flanking Palace Square will delight your eyes and your mind. Russian history enthusiasts might enjoy the Church on Spilt Blood, which features brightly-colored domes that belie its dark history. 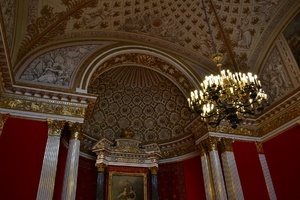 The Hermitage Museum showcases over 3 million artifacts and pieces of art, including medieval paintings and selections from Nicholas I's private arsenal. 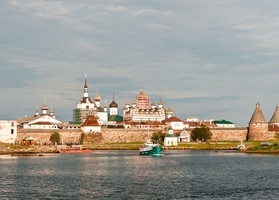 You can also check out the burial places of Russian royalty at the Peter and Paul Cathedral. St. Issac's Cathedral is one of the pinnacles of Russian Orthodoxy, making it the ideal location for anyone interested in Russian culture. Private tours in St. Petersburg are all about you, and that means they can be as long or as short as you'd like. Even if you only have a day to explore the city, a private tour guide will help you make the most of it. 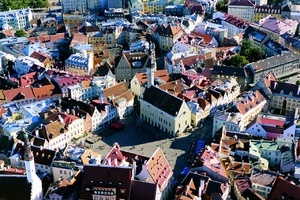 However, the city offers so much that you can easily spend a week here, becoming immersed in its rich, vibrant culture. A private tour allows you to create an itinerary that takes your stamina and independence into consideration. If you prefer a comfortable, low-pressure experience, you can give yourself as much time as you need to visit each location. If you have work or family obligations in the city, you can incorporate periods of free time into your schedule. Anything is possible when you and your private guide design a tour together from the ground up. 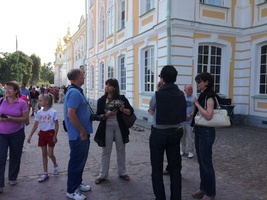 Themed tours are very popular with visitors to St. Petersburg. Literary adventures can help you explore the minds of some of the greatest writers in the world, such as Dostoevsky and Tolstoy. Musicians might enjoy a Tchaikovsky-themed tour that includes a night at the ballet. Tours centered around Communist Russia are especially illuminating for those who have lived through those turbulent, politically volatile times. It can also be convenient to design a tour with children or people with limited mobility in mind. Why private guided tours are better? Before someone can become a licensed tour guide in St. Petersburg, they must complete extensive training. That's why you can rely on them to take good care of you and ensure that your experience is safe, fun, and memorable. To avoid crowds, experts suggest weekdays and Sunday mornings for walking around the city. Self-guided walking tours are easy to follow and can include the Kazan Cathedral and Palace Square. Visiting during the summer? 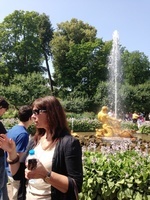 Another insider recommendation is to take a boat tour to visit the Peterhof Palaces and gardens. Most major hotels can facilitate booking English-language tours of St. Petersburg's most famous attractions. Choose a private tour guide for whichever parts of your journey need the most input, education, and local insight. You won't believe how much you can see in a day on this St. Petersburg shore excursion. Your private guide and driver will meet you at the dock and spend the whole day with you introducing the most famous landmarks of the city. 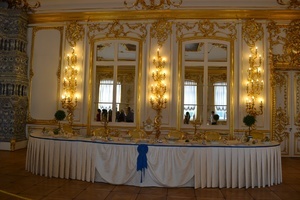 You will even manage to see Catherine Palace in Pushkin and famous Peterhof fountains. All in one day! 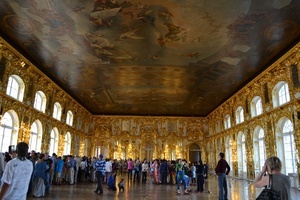 This tour will introduce you to the finest places of architecture, history and culture of St. Petersburg, famous Catherine Palace and Amber Room, Peterhof Park with fountains, world's best art collections at the Hermitage, Yusupov Palace with Rasputin cellars, leisurly stroll in the city. With many famous historic and architectural landmarks this tour will surely keep you excited and engrossed in Russian culture and tradition. Our 3-day shore excursion includes world-famous summer palaces, exquisite art collections, Neva river mini-cruise, grand Yusupov Palace and relaxing time in the famous Venice of the North.